Isaac Brynjegard-Bialik: Nice Jewish Artist: Grapes! 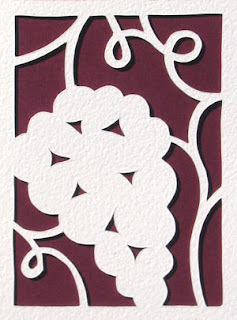 Another detail from my recent "seven species" ketubah -- some grapes on the vine. Cantor Wally CD available now! My new Passover cards are here!